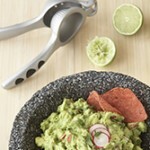 Crush It! 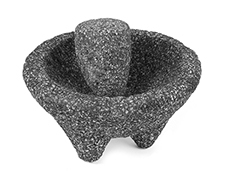 Made from ultra-durable natural volcanic lava rock, the IMUSA mortar & pestle extracts essential oils from herbs and spices – dried & fresh. 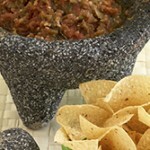 The weight of the stone provides stability and makes pounding a cinch and the rough surface provides a distinct texture to salsas and dips. 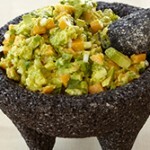 This molcajete is large enough to grind up a party-size batch of guacamole, then mix and serve it in the same bowl. 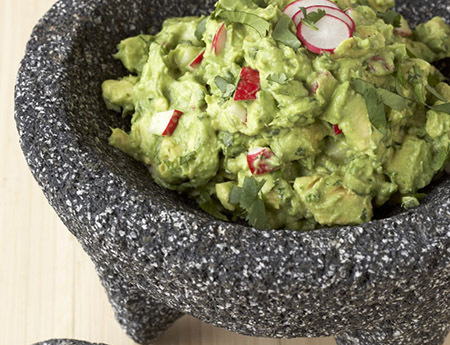 So break out the tortilla chips and let’s have a fiesta!